Last month the mother of a 16-year-old boy at Ladue Horton Watkins High School in Missouri sued the school in federal court, because her son didn’t make the varsity soccer team and was also not permitted to play on the junior varsity team, according to a ruling issued by the US District Court for the Eastern District of Missouri. Technically the complaint alleged that the school discriminated against the boy because of his age, which violates a federal law against age discrimination. When he didn’t make the varsity team, coaches told him he couldn’t play on the junior varsity team because he was a junior. The JV soccer team for boys at Ladue Horton Watkins is intended, coaches and school officials argued, to give freshmen and sophomores a chance to hone their skills. The prior year a few juniors played on the JV team and saw very little playing time, which brought complaints from those kids’ parents. However, no such preference for freshmen and sophomores exists on the girls’ JV soccer teams, the complaint said. Plaintiff argues that the exclusion of junior boys from the JV soccer team violates the District’s internal policies against discrimination. The Court concludes that this claim is unlikely to succeed because, among the other reasons stated above in addressing Plaintiff’s ADA and Title IX claims, the District’s policies do not create a right to participate in sports and the Court does not believe junior boys are being excluded from the JV soccer team on the basis of age or gender. The lawsuit comes down to a technicality: Did the school exclude the boy on the basis of him being a junior or on the basis of him being male? The court said no. Rather, the exclusion was based on a desire on the part of coaches to polish the skills of other athletes and better prepare the team for the future. 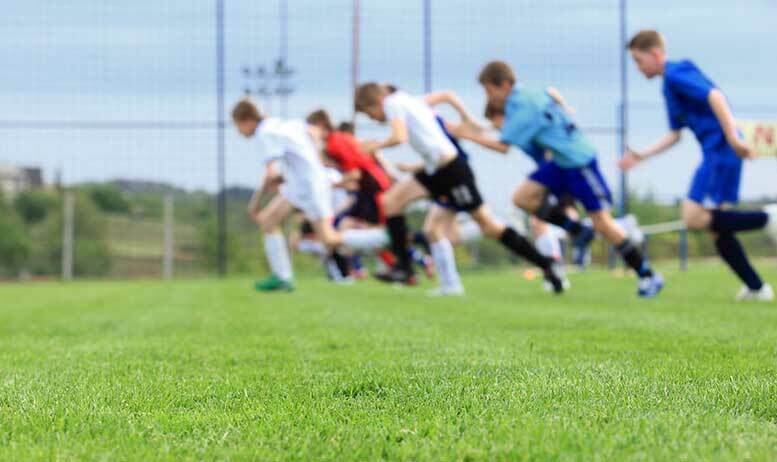 Participation in extracurricular activities is not a “right” guaranteed to students—just look at how many schools don’t have boys’ soccer teams at all. The situation will be resolved in mediation, and we hope for the best. Lawsuits like this border on the frivolous, as the remedy would have been for the court to tell the school how to run its boys’ soccer teams. I’m sure that’s what federal judges want to get involved in. NOT. Forcing the boy onto the team with a court order would, the judge said, undermine “the soccer program’s legitimate philosophy of prioritizing the development of players with more years of eligibility” and invite future lawsuits from others. Be the first to comment on "Mo. boy who didn’t make soccer team sues school"